When you think about organising your home, what comes to mind first? Do you feel stressed or anxious or perhaps even overwhelmed by the task itself? Feng shui literally translates to ‘wind’ and ‘water,’ the two most important energies of all life. The practice originally started with Chinese farmers who rotated their crops to find the best places for growing each one. In the organisational sense, feng shui is about arranging your items and furniture in a manner that allows energy to flow easily throughout your home and generate a positive life force. Feng shui can help you reclaim control over your cluttered household and inspire a positive flow of energy while alleviating stress. Read on to learn how you can apply the principles of feng shui to improve your home’s organisation. As mentioned, feng shui is all about generating a positive energy flow throughout your house. 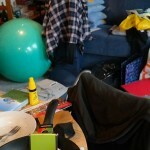 Cluttered and disorganised homes are filled with energy blocks that get in the way of creative and thinking processes. These energy blocks distract you and pull your mind in so many directions, stopping you from living and appreciating the moment. Open spaces often help generate positive energy around your home so try to create more open spaces in your home. Keep the hallways and paths between rooms open so you can easily flow from one place to the next. Go through your home with a big cardboard box and start alleviating the clutter. Get rid of exercise equipment you never use or knick-knacks that only collect dust and instead display objects you use almost every day. These objects will remind you of love and purpose. It wouldn’t hurt to give your home a good cleaning at this stage as well. Mop and vacuum your floors, and clean in those hard-to-reach areas that you tend to skip. Once all the dust and debris is gone, you’ll have a clearer mindset and far more open spaces to allow new energies to enter and flow. How often do you rush around your home looking for a document or item you need? Scurrying around your home looking for lost items creates stress and stops the positive flow of energy dead in its tracks. Clarity means giving every object in your home a proper place for storage and a specific need. It eliminates confusion because you always know where an item is when you need it and brings your stress level down. Clarity takes effort and time, but with dedication, you’ll no longer have ‘junk’ drawers or piles of mail and other documents taking up space on countertops and coffee tables. With clearer spaces comes a clearer mind. Now that you’ve removed the items that you don’t really need, it’s time to tackle the important items and objects that promote love and purpose in your house. Create a filing system for all documents so you know exactly where to find them when needed. 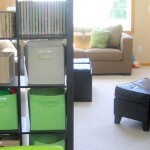 All toys, books, movies and other objects should have a designated storage place. Use cardboard boxes or pick up plastic bins and boxes at a home goods store to help your children keep their toys and possessions organised and out of the way when they’re not being played with. Between work, children and other obligations, how much time do you really have to relax? Holidays only come once or twice a year, so how do you relax in your home? The truth is that you don’t have to ‘get away from it all’ in order to properly relax. You just need to clear a space in your home and in your schedule for yourself. 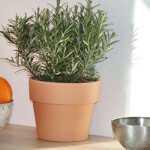 As you now have a little more open space and less clutter around your home, find one little spot to call your own. It might be a big, squishy armchair in the corner or your living room or maybe it’s your bathtub. Some like to create sanctuaries or butterfly gardens in their backyards in order to get back to nature. Whatever the place, surround it in things that bring you comfort. You might keep your favourite book next to your armchair and a picture of your loved ones to remind yourself of love. Candles and scented oils can help you unwind and clear your mind in your bathtub. In your garden, plant your favourite flowers and plants and take some time out of your day to simply stop and admire them. Do not overcrowd these areas with more clutter. Keep them simple. Take just five or ten minutes out of your day and go to that spot, wherever it may be, and reflect on the moment. Enjoy it. You’ve created it. Now that you’ve cleared the clutter, cleaned your home, organised your belongings and set up a designated relaxing spot, it’s time to tackle the source of your family’s health: the kitchen. By applying the feng shui principle of health to your kitchen, you’ll be more inspired to practice healthy eating habits and encourage your family to do the same. Make sure that all of your appliances are in great condition and do not block energy. A broken stove or oven limits the types of foods you can make, which often results in fast food or other instant, processed meals. Though you have probably gone through the clutter in your kitchen it is now time to tackle your cabinets and pantry. Try installing one or more lazy susans. These spinning racks allow you to easily access all of your ingredients and cooking utensils without having to go digging through your cabinets. Fill your pantry and cabinets with healthy foods to help you and your family cleanse your bodies. Creating a feng shui organised home will help bring you peace and give you back precious time. Rather than searching your home for a lost item, you’ll know where everything is exactly when you need it. Your relaxation place will always be there to provide you with ten seconds of peace and quiet. Implement these wonderful feng shui principles in your home and continue on your way to a peaceful living.